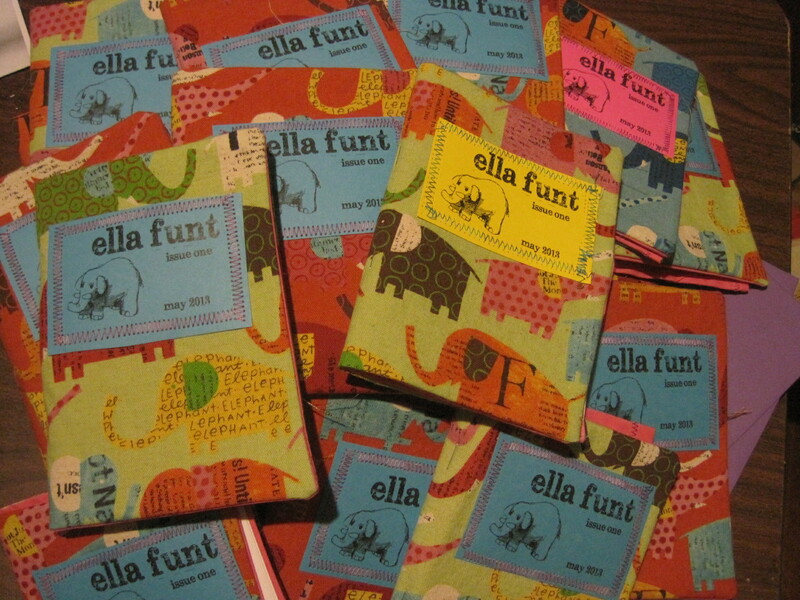 ella funt #1 is officially released! so, how to order? 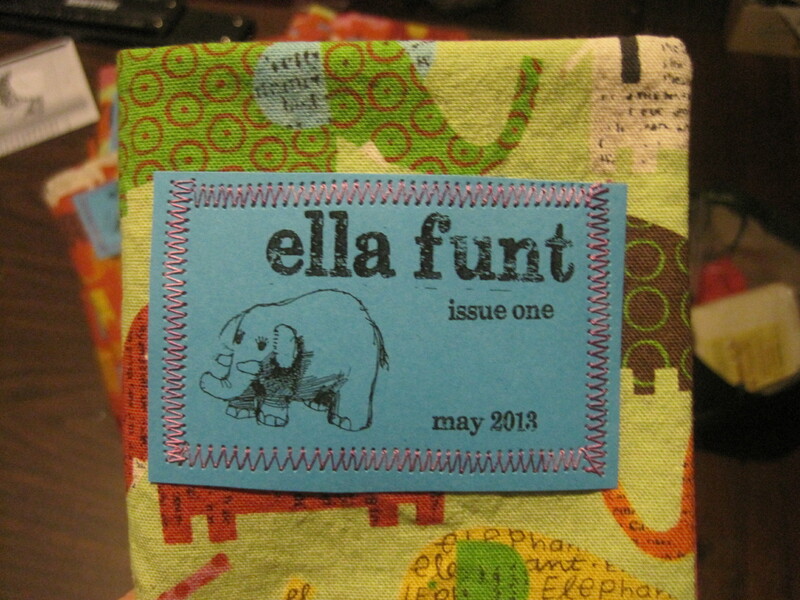 due to the ridiculous amounts of time & expense involved in making these things, they are priced at $4 each. if you want to kick in a little extra because…i don’t know, because you’ve read my zines before & you like them, or you read my blog & you like me, or you just think this looks like a cool project that you want to spend money on, feel free. when i mailed pre-orders today, i discovered that postage on these babies is actually three times as much as i’d budgeted for when i set the price (they cost me over $2 each to mail…$7 to the UK…) because they’re too thick to be mailed at the letter rate. i’m chalking it up to a lesson learned, & i will simplify the production elements when i make issue #2, but any extra generosity people want to show would be much appreciated. to actually cover my costs (buying fabric, paying for photocopies, postage, etc), i’d need to charge like $6 or $7 each, for reference. we can call it a sliding scale: $4 to $10? but no pressure. $4 is totally fine. 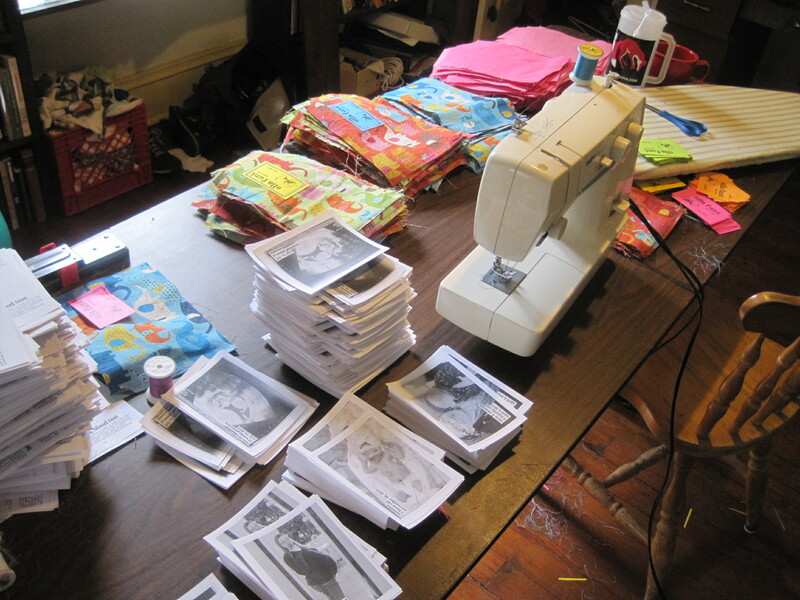 run a distro, or a zine shop, or some other zine distribution project? wholesale copies are available for $2 each. i ask that you order a minimum of five copies. 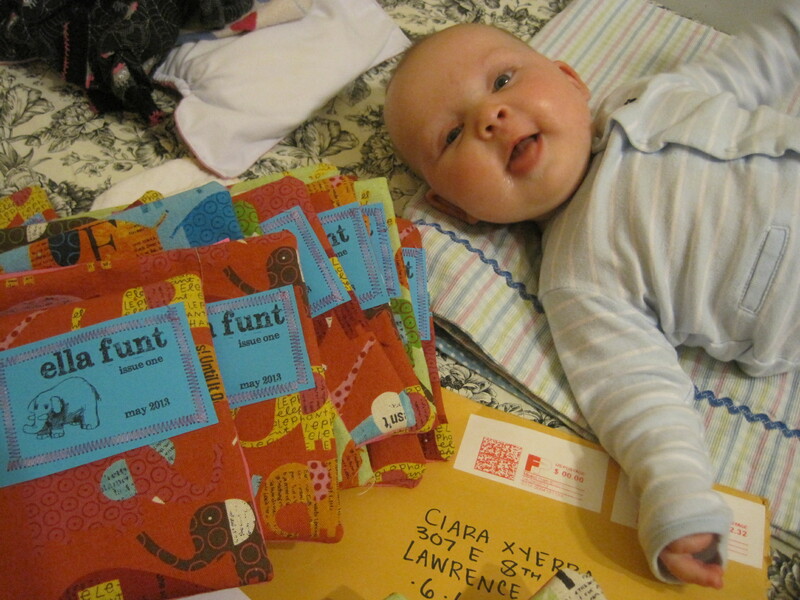 ps–are you a mom who makes zines? i would love to hear from you! get in touch! OMG your adorable baby! Congrats! 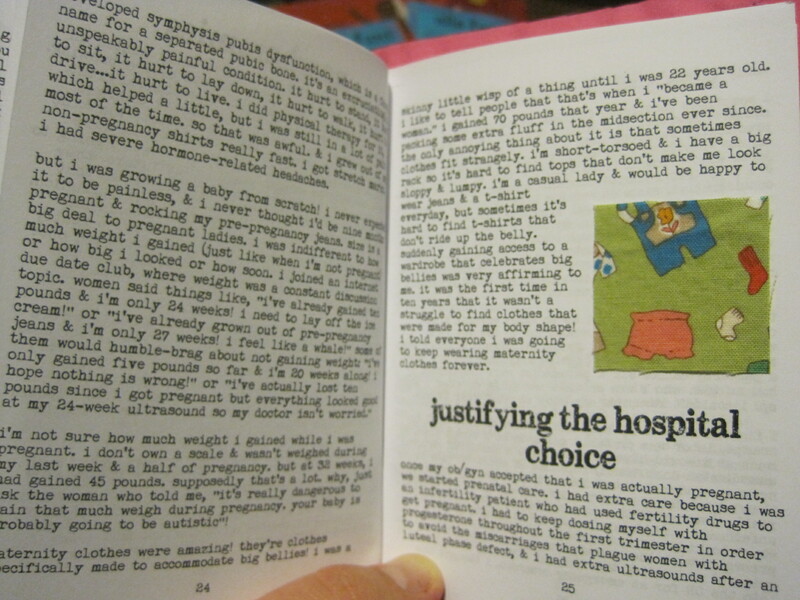 And seriously, making these zines with an infant around? You’re amazing! thanks! i don’t know if i’m amazing or just insane. i definitely wouldn’t have taken this project on if i’d known how much work it was going to be. i’m fitting it in while she naps, in the mornings & evenings when jared has her…sometimes i put her in her bouncy chair & sit in front of her & work. i’ll get it done eventually. i’m just lucky that she is like the world’s easiest baby. that would be awesome! the only thing is that postage to australia is going to be A LOT. email me, we’ll talk. that sounds like a great idea for a zine! 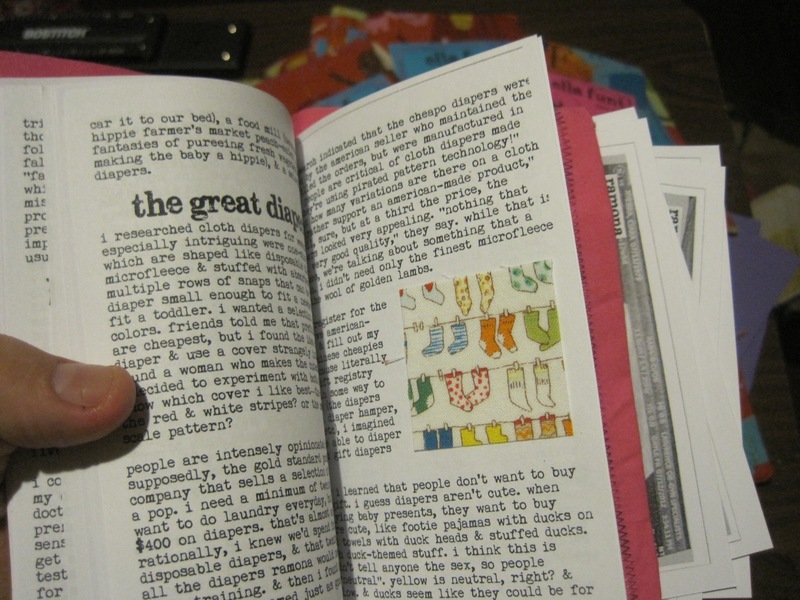 i’m sure people would be interested, & a zine can be a good outlet for your thoughts on the topic. we didn’t go that route with our kid, but i have a friend who did.